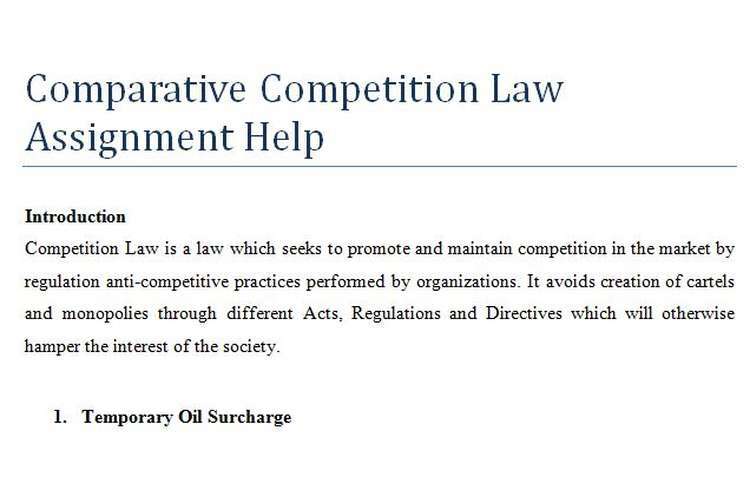 this Comparative Competition Law Assignment Help is about a law which seeks to promote and maintain competition in the market by regulation anti-competitive practices performed by organizations. It avoids creation of cartels and monopolies through different Acts, Regulations and Directives which will otherwise hamper the interest of the society. The Sherman Act, 1890, also known as Sherman Antitrust Act was first enacted in the US federal decree for the purpose of eliminating agreements “in restraint of trade” and that will restrict monopolization or any sort of attempts made towards monopoly. Sherman Act was initiated by Sen. John Sherman in the year 1890 and was passed by the Congress under the presidency of Benjamin Harrison. Attempts are made by the law to check artificial rise in the prices by restricting trade. The main focus of the act was not to restrict traders from earning profits from the consumers honestly but avoid misleading consumers for the sake of their benefit but rather maintain a fair and competitive marketplace. The conclusion of contracts is made subject to acceptance by other parties of supplementary obligations that by the nature or through commercial usage is no way connected to the subject of such contracts. There are very limited exceptions available to these prohibitions. Among all the prohibitions the one which is considered as most offensive in breaching of Article 101, Section 1 of Sherman Act is, creating ‘cartel’ among the competitors. Creation of ‘cartel’ may include fixing of prices or market sharing (Repeal of the Sherman Act, 2009). The Treaty empowers Commission to apply the rules and has investigative powers of inspection at the business premises. If any sort of violation is detected the Commission has the power to impose fines on the entity on grounds of ‘Violation of Antitrust Rules’. In the case study, the meeting held within International Airline Association, in Mexico City was based on the issues faced by airlines industry as a result of rise in the prices of oil. The meeting was attended by 80% of airline companies, United Airlines, Air France, Qantas, Lufthansa, British Airways, to name a few. Several discussions took place unveiling ways to deal with this situation of crisis. Out of all the solutions that each one of the airlines company are trying to initiate for preventing their respective airline companies, United Airlines came up with the concept of TOS ‘Temporary Oil Surcharge’ on flights operating between New York to London, through which it is looking forward to control its fuel prices. The introduction of TOS will lead to rise in the cost of tickets (less than 10% of ticket cost). In this way the company is trying to push the burden of extra cost on the customers. Although, the final price of the tickets has not been disclosed. Other airline companies also presented their strategy of dealing with this situation. Lufthansa has planned almost a similar kind of strategy like TOS of United Airlines, a month back but nothing has been implemented till date. But the representative of Emirates involves into a bilateral discussion with United Airlines, through which both of them agree on a certain amount to be imposed on the ticket prices as ‘TOS’. Hence, by entering into a bilateral discussion directly and fixing the amount of TOS, both the airlines company, United Airlines and Emirates, have violated the Article 101/Section 1 TFUE, Sherman Act. With the intension of reaping higher profits for protecting self-interest, in response to parallel market forces, both the companies are held liable for antitrust leading to violation of Sherman Act. Being subject to the horizontal agreement under Sherman Act, it will not be fair on part of the two airlines company to enter into any such arrangements that may impact or distort competition. The Korean company, Samsung between the years 1995 to 2000 were found guilty of using marketing agreements illegally such as, ‘minimum advertising pricing in order to raise the prices of Compact Discs with the intension of ending competition with Best Buy and Target. The customers were charge an excess by almost $500million and upto $5 per album. It again entered into settlement with music distributors and publishers like Warner Music, EMI Music, Sony Music, Universal Music, Musicland, Tower Records, etc. and as per compensation for price fixing they agreed to pay $67.4 million fine distribute $75.7 million in CDs to public and non-profit groups (Worth, 2012). The government of France in the year 2006 fined almost thirteen perfume companies including L’Oreal, Chanel, Hutchison Whampoa’s Marionnaud and three vendors for collusion of price between them. Pricing below cost is termed as Predatory Pricing. A question arises on this concept, ‘is it possible for any company to price its product too low?’ The answer will be “yes”, sometimes in order to compete with other competitors a company may undertake this option; but again it cannot be done too often. Consumers are the one benefited out of this. They can enjoy the benefit of low cost of the products. But if this lowering of cost is subject to a strategy for driving the competitor/s out of the market, and again regain its original high-price, then it might not be beneficial for the consumers. This lowering of the price of the products can be a result of rigorous competition in the market. The concept of pricing of products below the competitor’s level is a very common phenomenon in today’s competitive market as they in no way violate the antitrust laws. But this pricing strategy is not considered to be a violation of antitrust laws till the time they are not meant for elimination of the competitors and when the dangerous aspect of the strategy is a possibility of creating monopoly for the company (one, forced to reduce its prices) in order to increase the same once the competitor is driven out of the market and they regain high price for covering the losses (Greene, 1996). In order to gain lead in the French telecom market, Wanadoo was ordered to pay €10.35 million by the European Court of Justice. Wal-Mart was asked to raise the prices of prescribed birth control pills Tri-Sprintec by the law of Minnesota from $9.00 to $26.88. Amazon was asked by the Government of France to stop allowing free-shipping services o the customers as this violates the predatory pricing laws of France. When Amazon refused to comply with this order, the Government of France imposed a fine of €1,000/day on the company. But still the company kept offering free shipping services at the cost of €1,000 finer per day. Finally, the company stopped offering free shipping services after the government banned this service on behalf of Amazon. In order to keep Darlington Corporation Transportation away from the business, Stagecoach Group offered free rides to its passengers. Section 2(f) - Prohibit the sellers from making buyers violate the act. However, this Act exempts certain cases which will not fall under any of the above criterias. Few sales conducted by Government or cooperative bodies or non-profit making organizations are exempted from the provisions of this Act. In case someone is found guilty of violating the provisions of this act they will be subject to criminal penalties. The sales should be “in” interstate commerce. In the given Case study Tropicana (a product of Pepsi) is seen to be the market leader with a market share of 42%, whereas Minute Maid (a product of Coca-Cola) has a market share of 29%. Many other companies have tried to enter the market with similar products but failed to withstand the competition. The reason behind this failure was inability to arrange major promotional campaigns which is considered as the most effective tool for market entry in any country. This proves that Tropicana has the scope of exercising monopoly practices if it wants. Suddenly, Nestle enters the market where Tropicana has been the leader in market share, with its product, “Orange Juice”. Nestle found ‘price’ to be the source through which it can enter the market as the company is financially strong enough to promote its product through advertising campaigns. The company offered a very low price for its product (€1.3 per litre) against almost €3.00 per litre of Tropicana. This is where Tropicana realized the need to compromise with its price so that it can compete with Nestle. If Tropicana sells at €1.1 per litre with the intension of beating Nestle, it will incur a loss of €0.1 (€1.1 - €1.2) per litre. Hence, for 10 million litres it will incur a loss of €1 million. If Tropicana sells at €1.3 per litre, thus maintaining par with Nestle, it will earn a profit of € 0.1 (€1.3 - €1.2) per litre. Hence, for 10 million litres it will earn a profit of €1 million. If the company wishes to maintain a position of entry-level for Tropicana, as suggested by the commercial team, they can proceed to do so. Tropicana being a major player in the market, if reduces the price of orange juice to extremely low level through which it cannot even cover its cost (i.e. €1.1 per litre) as in this case, may not be a wise decision for it. It must rather try to maintain the prices at par with Nestle. Thus, it will be advisable to keep €1.3 per litre as a suitable option so that even by lowering the price of the product to an entry level price it will be in a profitable position of €1 million for 10 million litres. The analysis will remain the same even if a member of the commercial team tells they will withdraw the mechanism of entry level prices when they drive Nestle out of market. The reason behind this decision is that, when a company follows a strategy of pricing their products at a very low price with an intention of driving their competitor out of the market, thus creating barrier for any new entrant they fall under the category of Predatory pricing. Hence, the company following such strategy can enjoy monopoly in the long run (Applebaum, 1990). This strategy of predatory pricing is considered as anti-competitive hence ‘illegal’ as per Competition Law. In other words it will be a violation of Robinson Patman Act which prevents producers from participating in any sort of anti-competitive practices. One of the clauses of Section 2 (a) of Robinson Patman Act states that criminal sanctions may arise on sales which are done “substantially to reduce competition or tend to create monopoly in any line of commerce”. European Competition Law prohibits sale of goods at a loss by a company which has the intension of forcing its competitor out of the business through such pricing techniques. European Competition Law is entitled to maintain competition within European Union. This law regulates anti competitive practices by the companies so that they cannot create monopolies and cartels which can hamper the interest of the society. Hence, the Competition Law helps in protection of the process of competition in an economy with free market. 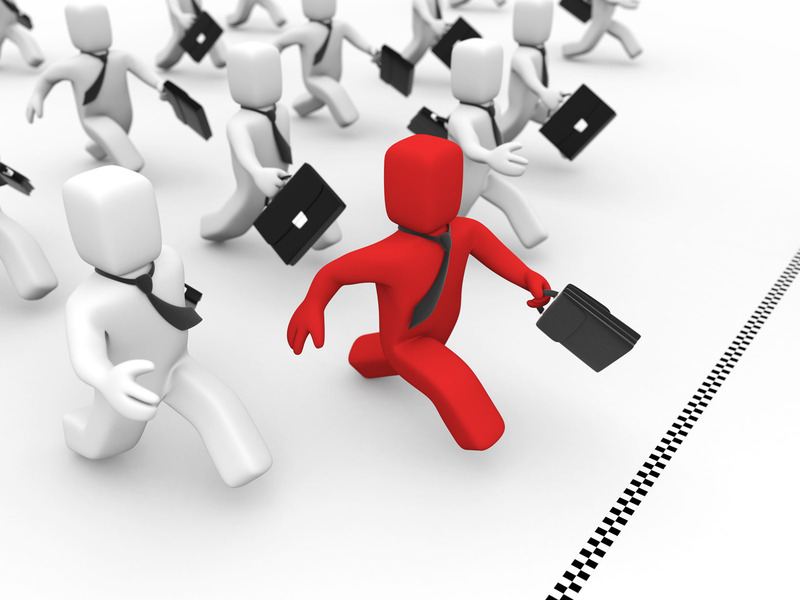 The necessity of competition in market is to maintain efficiency, innovation, low prices and freedom of action. The freedom market players controlled through this law so that in order to protect the competition process at the same time enabling new market entrants to enter the market and protect the interest of consumers. Again the above Article “may be declared as inapplicable” as per Article 101 (3). This Article forbids the undertakings which are dominant in the market to abuse their market power. Under the Competition Law there are legal rules which are implemented for maintenance of competition policy. It considers business law and economics. The Competition Policy gives a description of the ways in which measures for promoting competitive market structure and behaviour are taken by the government (Gyselen, 2011). The basic provisions for antitrust rules are listed under Treaty on Functioning of European Union. The Commission or the Council has adopted several regulations later on this. These regulations consist of general rules and some particular type of conduct or specific sectors. The term ‘Regulation’ denotes legislative act which are bounded by rules. ‘Directives’ are the legislative acts which specify goals that must be achieved by EU countries. Example for one such directive is EU consumer right directive. This directive strengthens the right of consumers all over EU by elimination of hidden charges and extension of the period under which the consumers can withdraw from the Contract of Sale. A common policy for import and export is adopted towards outside world for commercial transactions. The conclusion of contracts is made subject to acceptance by other parties of supplementary obligations that by the nature or through commercial usage is no way connected to the subject of such contracts (EU Directives update seminar, 2005). GB and GL are market players in distribution of natural gas in their respective countries, Belgium and Luxemburg. Their customers consist of both industries and individuals. Both of them were enjoying monopoly power in the market till the time the authorities of Belgium thought of inviting Belgian and foreign countries to enter the market and sell gas to the customers. This led to reduction in the market share of Belgium to 75%, while GL was still enjoying the benefit of monopoly. Both the gas companies had to import gas from outside since they do not have any natural gas field. Normally GB import from Algeria and Russia, but recently they have negotiated with a producer of gas (NG) in Norway in order to fill a small a small proportion of their requirement (i.e. 5% and 15%) respectively for GL and GB and entered into supply agreement. The problem arose when the cost of routing gas pipeline became cost prohibitive for both the countries. Hence, both decided to construct a common problems thus bearing the cost collectively which will pass from Norway to Belgium and arrive in Luxemburg. On the basis of the drafted contract between GB and GL with respect to their pipeline construction, I have been appointed for ensuring that the contract complies with the EU Competition Law. Through several analysis it can be suggested that if both the companies enter into ‘fixing condition of trade’ (building of pipeline together and sharing the cost, as in this case), they will distort Article 101, under Sherman Act, 1890. The risk level was such that unless exemption is granted the investment cannot be initiated. Hence, if they fall under any/all of the above criterias they can avail the exemption. Instead of fixing things by their own they must proceed legally. They can avail any of the above mentioned options in order to comply with EU competition law. The sales policies adopted by AB&C which allows 10% discount to customers on every purchase of telephones and 10% discount on every purchase of scanning and copying machine only if they fulfil their requirements through this particular company. By doing so, the company AB&C, being the largest market share holder and taking the advantage of its position in the market, in some way following such pricing technique in order to limit the scope of its competitor. Hence, any such practices which are intended to limit the scope of competition in the market and avoid its competitor from increasing its market share is an Anti-Competitive practice. Case Law: The following case law will give an idea how discounts lead to anti-competition. Prokent AG lodged a complaint against Tomra & Group on 26th March, 2001 to the ECJ (European Court of Justice). The complaint was regarding Tomra & Group (having 70% market share in RVM), following discounting technique in order to ensure further loyalty arrangements, which limited the scope of market entry of Prokent AG with Reverse Vending Machines (RVM). The loyalty arrangements are considered as agreements entered into between suppliers and customers through whom the customers receive discount on a specific amount of purchases as specified by the seller. This technique attracts the buyer for making purchases from that particular seller. This practice is considered as Infringement of Article 102 (then Article 82 EC) of TFEU. As a punishment Tomra & Group had to bear a fine of €24 million. Hence, it will be advisable to the company AB&C that they get in touch with the Antitrust and Competition Counsel and discuss their policies of sale in order to avoid any kind of risk (O'Donoghue and Padilla, n.d.). The situation which arose due to the interference of DE&F Company will lead to Price war. Price War is a situation where there is constant cutting down of prices below the level of its competitors. If one competitor reduces the price the other will also reduce in order to seek price match. This price war proves beneficial to the customers in the short run as they can avail the benefit of low prices. But in case of companies, this practise at times may lead to a threat for their survival. For companies holding dominant position in the market, price war can be continued in medium or long term but for others it might prove to be a danger. This will again violate Competition Law as it poses injury to the competitor or destroy competition. (“Moore v. Mead's Fine Bread Co., 348 U.S. 115 (1994)”). In this case the AB&C has opted to deal with this situation through ‘Reduce Price’ mechanism. There are several factors which need to be accounted for before reducing the prices depending on that of its competitors. If the company is looking forward to reduce the price, it has to keep in mind that the reduction must not be too much which might risk their impression (i.e. cheap product and cheap price). The strategy for pricing must be focused to ensure that the customers opt to buy from them, instead of others (even after offering low price). Few things which AB&C Company can opt for instead of making loss is, offering free warranty or after care services in order to highlight their products; since customers are rationale now-a-days (O'Donoghue and Padilla, n.d.). Apart from enjoying prices at discounted they also seek for exclusive services. AB&C must ensure a ‘unique selling proposition’ for their company. This can be the most suitable way for AB&C to deal this situation as this will conserve its image as well as do not violate Competition Law. The Company AB&C by making an attempt indirectly to avoid the competitors from entering the market is violating Competition Law. Royalties must be priced in such a way that they do not reflect being excessively priced. Excessive pricing of Royalties may be considered as an abuse of dominant position under the Article 102. (“402 /85 Basset v. SACEM[ ] 1987 ECR 1747 and Case 395/87 Ministère Public v Jean-Louis Tournier  ECR 2521). The Royalties must be linked expressly to the IP and always reflect the actual value. In case excess royalties are charged the Commission will consider this carefully. (“Microsoft/W2000”). It will not be a wise decision on part of the Company AB&C to charge ‘unfairly high price’ for their royalties as this policy is completely against the competition law, violation of which may be punishable on the grounds that the business company law is following such policies to avoid competition. In order to control the rates of Royalty, Article 16(1)(3)(b) of the Service Directives is set to impair seriously such policies which are designed to address excessive pricing as per the law of EU and distort competition in the market (Sja?fjell and Wiesbrock, n.d.). The report gives a thorough knowledge about European Union Competition Law and its importance in an economy. Several Case studies have been illustrated in order to give a clear picture of Competition Law and how they can b dealt with, complying EU Competition Law. This report covers various Act and Regulations which are directed towards protection of competition in the market like Sherman Act, 1890, Robinson-Patman Act, 1936, Competition Policies, EU Regulation and Directives, etc. The reader will come across several pricing techniques used as tool for restricting competition such as Predatory Pricing and Price War. Applebaum, H. (1990). New Robinson-Patman Act developments. New York, N.Y. (810 7th Ave., New York 10019): Practising Law Institute. EU Directives update seminar. (2005). World Pumps, 2005(461), p.10. Greene, W. (1996). Predatory pricing. Chicago, Ill.: American Bar Association. Gyselen, L. (2011). Public Service and EU Competition Law. Journal of European Competition Law & Practice, 2(6), pp.572-577. O'Donoghue, R. and Padilla, A. (n.d.). The law and economics of Article 102 TFEU. Repeal of the Sherman Act. (2009). [Place of publication not identified]: Great Neck Pub. Sja?fjell, B. and Wiesbrock, A. (n.d.). The greening of European business under EU law. Worth, R. (2012). Sherman Antitrust Act. New York: Marshall Cavendish Benchmark.